Joel Joy continues to unearth interesting new material about the Canadian Dambusters. He has recently got permission from the family of Plt Off Lewis Burpee to publish this picture of his crew, taken while he was on 106 Squadron. 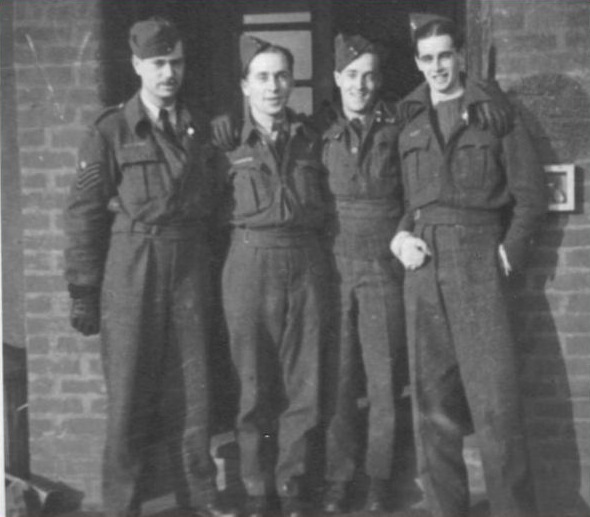 The photo was taken on 106 Squadron at Syerston, on 18 January 1943 after a night trip to Berlin. The Lancaster is W4842 ‘ZN–H’.